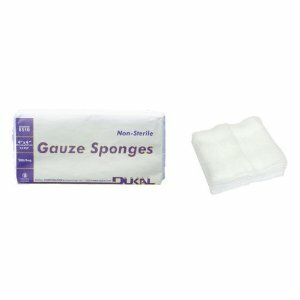 Non-Sterile Gauze sponges 8-ply, 200/pkg. Available in 2x2, 3x3, 4x4. 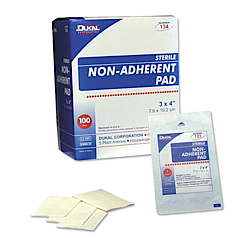 Non adherent dressing, 100/box, sterile available in 3x4 or 2x3.